Rooms emit feelings. Why do some rooms seem peaceful when others make us feel uneasy? Feng Shui, the ancient Chinese art of geomancy—the practice of arrangement of your surroundings for harmony—uses the forces in the land and cosmos to bring a space into alignment for peace and good fate. Feng Shui is not about omens, luck, or suspicion, such as the popular Western concept that walking under a ladder brings bad luck. It is about building spaces with direction in mind and orienting furniture to ensure the flow of ch’i, life—giving energy. Both an art and a science, interior designers and layman practitioners can make significant changes to the decor and direction of furniture that will significantly improve the purpose and function of a room. Get Feng Shui room ideas to restore the energy in your home. Feng Shui means you will be taking stock of where you are in life with your family, finances and goals, and think about what you wish to improve. Be flexible and realize that even small changes make a difference but you may need to try a few different placements or ideas. Balance is key and the principles of ying and yang will come into play. That means that light and dark don’t struggle as true opposites but work together. Directionality, is part of what’s called, BaGua basics. The directions of the compass such as North, Northwest, West and so on, plus the five basic elements—fire, water, earth, wood and metal—along with the colors of nature and the major components for directionality offer harmony and success with the natural world. The entrance to your home is not just a gateway inside but it is the first impression of you. Adequate light is important so place additional lamps or sconces in the entrance. It is undesirable to have a back door visible from a front entrance so use a folding screen, a tall plant, or beaded curtain to alter the alignment. Ideally, the stairs should curve gently upward, (see photo). 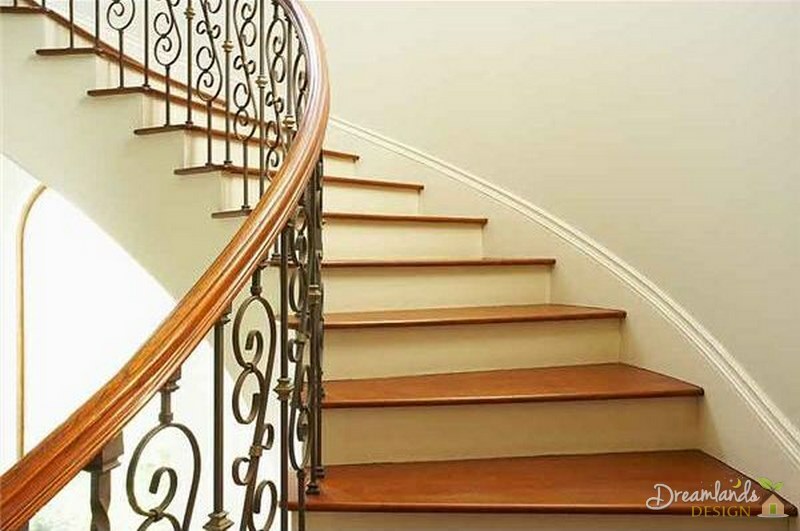 Mirrors may be a cure for a poor staircase (if it is straight-on) or poor alignment, such as mentioned above with the front door-back door shotgun arrangement. Perhaps a statue of Buddha can await on a pedestal at the top of a stair landing for good luck. The southeast direction governs prospects for wealth, not always thought of as “money” however, but it could be an abundance of good friends. Think of this as someplace to add a water sculpture, a fish tank or a lamp with an embellished shade. Arrange seating so that the host and her guests do not have their backs to doors. Place a small, shared table between seated chairs. Try for a flow path around and between furniture. Hang a mirror over a fireplace so the chi will reflect back into the room and not up the chimney. The soul leaves the body while we sleep in the bedroom to wander and restore itself—in the West we may think of this as dreaming. Orientation of the bed is most important. Never have your bed in straight on alignment with the door. 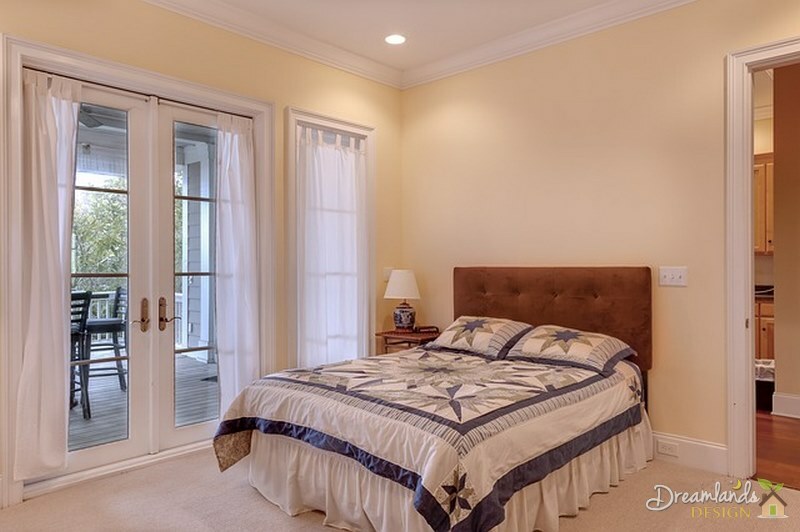 Ideally, the bed should be placed diagonally opposite the room’s main entrance. Never place a bed under a low ceiling or under exposed beams. Mirrors should never face the bed. Bookcases, dressers or other furniture should not be placed so that the sharp edges point toward the sleeper. Serious Chinese principles abound with the art of dining. The goal is to enhance the dining experience of the diners or guests. Simplicity is an important feature as nothing should detract from conversation or pleasant eating. Keep furniture to a minimum. Orient the table and chairs, and perhaps a sideboard, into an area that is not too near the front door, as it makes for “greedy eating”. East of the kitchen is best because this compass points to health and growth. It is also important to pick the right color for the walls. Avoid clutter as it blocks flow; and it is better to have paintings or ornaments hanging than gathered on tables. Light bulbs that are blown should be quickly replaced. 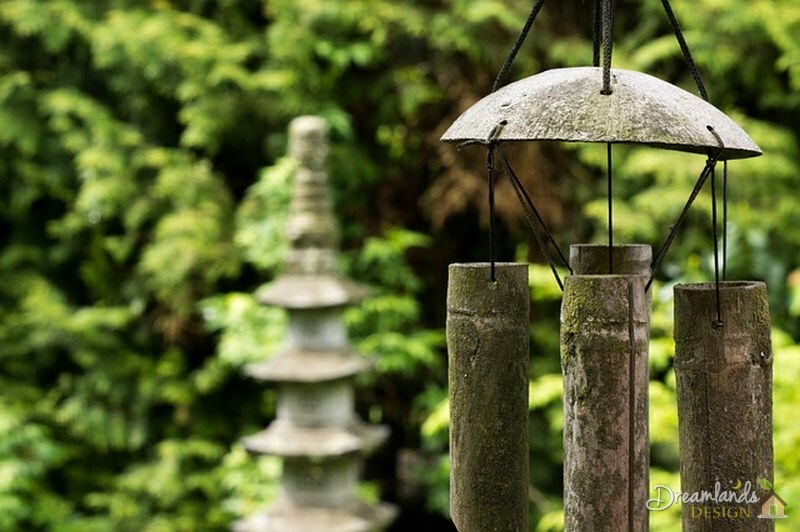 Attention to Feng Shui will go a long way to making your space comfortable and calmer in a natural and ordered way.